Modern Made in Italy White Finish Storage Bed 44B5812W. 1 x Q / K / CK Bed 44B5812W. 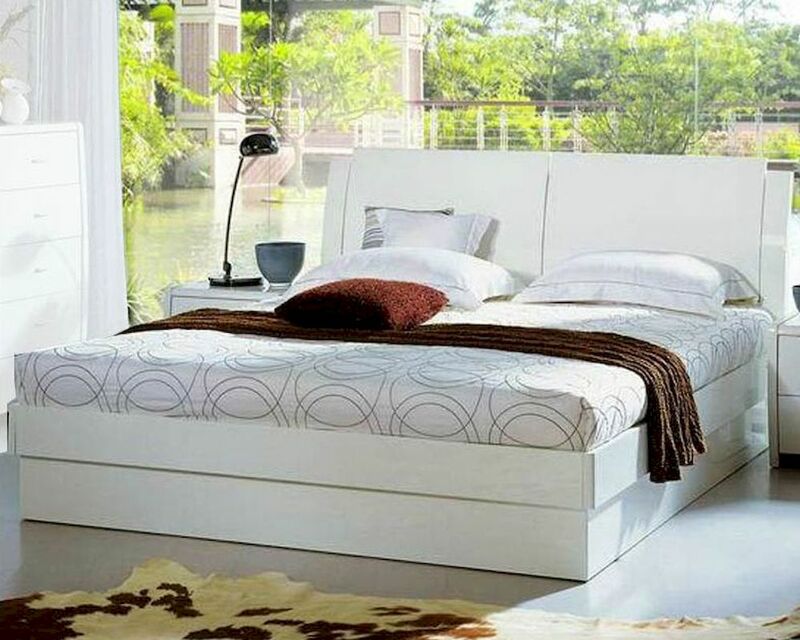 Queen Bed – 63.5"W x 82"D x 40.5"H.
King Bed – 79.5"W x 82"D x 40.5"H.
California King Bed – 75.5"W x 86"D x 40.5"H.
Storage inside headboard and underneath bed with pneumatic mechanism.